Less than 1 year ago, Venus made headlines as one of few animals in the world to under-go eye surgery. Our treasured 6 year old female cheetah, Venus, experienced a challenging start to life but nothing prepared us for this remarkable turn-around. The Roman Goddess of love, beauty and fertility shares more than just a name with our very own spotted Goddess. One who is equally as beautiful and awe-inspiring. Venus was diagnosed with bilateral cataracts. We monitored her for many months but her condition continued to deteriorate and gravely affected her quality of life. After months of tests, planning, preparation and much needed fundraising, we were able to take Venus to the Cape Animal Eye Hospital for surgery. Experiencing Venus’ pre and post-surgery behaviour was such a privilege in itself. She transformed from a scared, nervous and fairly aggressive animal to a more confident assured cat who rambunctiously explored her surroundings, as if it is the first time, even though it had been her home for years. 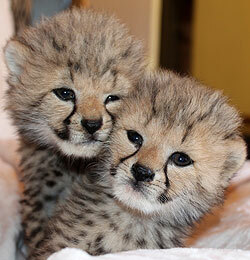 Just the other day… Venus gave birth to four healthy magnificent cheetah cubs. She surprised us all with her amazing maternal skills as a first time mom. Both mom and cubs are healthy and happy! Her four offspring play an enormous role as future ambassadors. Two of the cubs, Peyton and Pippa will be staying at Cango Wildlife Ranch and our Reserve and will be a great asset to our Cheetah Preservation Foundation in future years as they bear invaluable genes that are poorly represented within our in-house population. The remaining two cubs will be relocating to a like-minded education organisation where they too will form part of their reputable awareness programs. The breeding programs of endangered species, by experienced, reputable and accredited preservation organisations, are vital to sustaining genetically diverse in-situ populations. Five cheetah sub-species exist and are listed under the IUCN Redlist ranging from vulnerable to critically endangered. 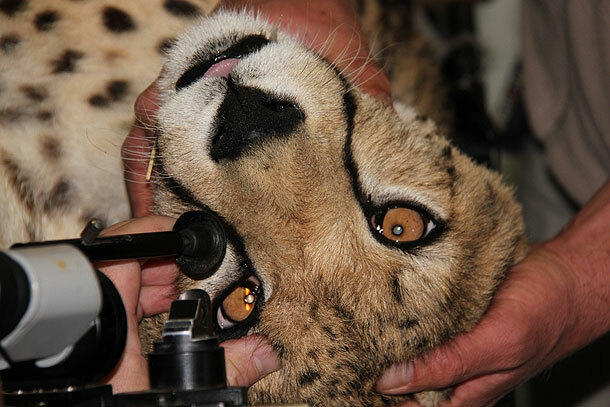 Our conservation branch, The Cheetah Preservation Foundation, specialises in initiatives that promote education of endangered species and the preservation of said species and their natural habitats and Venus is a prime example of the lengths that we will go to, to ensure the well-being of all of our animals. We would like to take this opportunity to thank everyone who contributed to Operation Venus through our fundraising campaign, and in turn our Cheetah Preservation Foundation. Venus now fully encompasses her mythological name and to us she is nothing less than a Goddess! The eland's size and docility as well as its rich milk, tasty meat and useful skin have encouraged research on its use in game ranching. Elands have been semi-domesticated in some areas.